How do Americans like to take family vacations? We pack the car, grab the kids, and start driving. 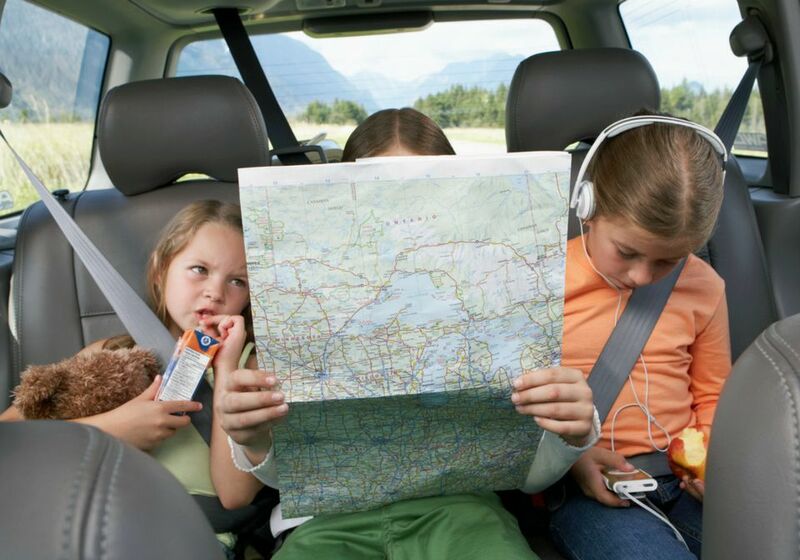 The very best family getaways are easy and affordable road trips within a day's driving each way. Here's a collection of fantastic escapes within a six-hour drive of major U.S. cities. Chances are good you'll find some road trip inspiration below. When it comes to easy kid-friendly destinations, NYC denizens are spoiled for choice. For families who want to stay within six hours of the Big Apple, fantastic options abound from New England to Virginia. If variety is the spice of life, San Francisco families will never be bored. Families living in the Bay Area have a spectacular array of kid-friendly getaways within a day's drive, from beach towns to mountain escapes and national parks. New England's biggest city is well-positioned for great getaways with the kids. Families living in the Boston area have a terrific array of kid-friendly getaways within a day's drive, stretching from Maine to western Pennsylvania. One of America's best all-inclusive family resorts is within striking distance. Whether you're drawn to the ocean or mountains, Atlanta makes an ideal jumping off point. Families living in the Atlanta area can choose among beach destinations on both the Gulf Coast and Atlantic Coast and mountain escapes in the Great Smoky Mountains. If your family loves exploring the east coast, there's perhaps no better base than Washington, DC. Kid-friendly getaway options for those living in the DC area stretch from lower New York State to North Carolina and west to the Appalachian range. The Midwest's largest metropolis is a great place to live, but sometimes you still want to hit the road and explore. Families living in and around Chicago have a smorgasbord of kid-friendly getaways within a day's drive, with possibilities stretching from Wisconsin to Ohio. Live in the Philly area? The Mid-Atlantic region is chock-a-block with possibilities that can be reached with a tank of gas. Kid-friendly getaways within a day's drive stretch from New England to Virginia. Plotting a family escape from La La Land? Families living in the greater LA area have a spectacular choice of kid-friendly getaways within a day's drive, from beach towns to mountain escapes and desert oases. The Dallas-Fort Worth area has plenty to do for families, but sometimes you just need to get away. Dallas offers a nice array of kid-friendly getaways within a day's drive, with possibilities stretching from New Mexico to Louisiana and, of course, many options in the Lone Star State. Thanks to its proximity to some of America's most iconic landscapes and national parks, Las Vegas is a popular jumping off point for Western vacations—even for families who don't spend any time in Sin City. Based near the Gateway to the West? St. Louis offers a nice array of kid-friendly getaways within a day's drive, with possibilities stretching from Illinois to Kentucky.